I just finished the book, “Beyond Tithes & Offerings” by Mitchell T. & Michael L. Webb. Truthfully, i don’t know where to begin in my review of this book because i gained a lot from it. I guess i will point out the topics of tithing that i believe they explained well. 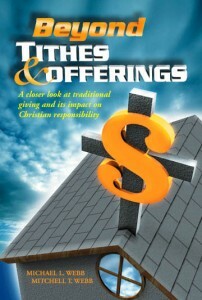 Beyond Tithes & Offerings did a good job defining the tithe and explaining the usage of money. Tithes and offerings were never based on finances. The currency of the world changes, but animals will be animals, and crops will be crops. People become poorer or richer, but a ram is still a ram, and a dove is still a dove. The so-called financial situation cannot change the genetic make-up of the herd and flock, the grain from the soil, or the fruit of a tree. The sacrificial items used for offerings, and the materials given for the tithes, remain the same throughout the Bible, whereas the standard for money and its value has changed. For those of you who are wondering how this quote is pertinent; well it directly relates to the passage in Leviticus 27 that explains how the tithe consisted of food not money. Of course, in today’s society we’ve converted the tithe into currency. The importance of tithing consisting of food is that the substance, size, or type of food doesn’t change. When tithing animals or grains it is simple to just count each one and donate the tenth to God. But with money, it’s not easy to determine how much you should give. How do you factor in your losses, or social security, or gifts, or a slew of other factors that would cause you to re-calculate your tithe over and over and over again if it were money? If you remember in Leviticus God States that the increase of the land was holy to the Lord. Can you remember the last time money was referred to as holy to the Lord? ‘You must present as the Lord’s portion the best and holiest part of everything given to you’ . . . If the tithe did consist of money, then what is the ‘best part’ of money? Spending it? With true tithing, one can identify the best of the produce, but the best part cannot be identified when using money. Um, oh yeah! Good Question. What is the best part of money? Probably the number 1 quoted passage is malachi 3 when defending the tithe. Most people quote it, “bring the whole tithe into the storehouse, so that there may be meat in my house”. Of course they interpret “storehouse” into “church” and “meat” as the “word of God” The authors of Beyond Tithes & Offerings take the interpretation and re-phrase Malachi 3:10 to read exactly how people interpret it. Bring 10 percent of your money into the church, that there may be the word of God in my house. It’s just plain ludicrous to think that money must be deposited in order to withdraw the word of God. Beyond Tithes & Offerings does a good job of taking of not only refuting the tithe but also highlighting the way we should be giving in the New Testament. It does no good to destroy the tithe without emphasizing the true solution for the Church to follow. The less fortunate must usually wait until some pre-determined day to receive help, such as a holiday. People, including Christians, come out in groves to participate in helping the needy and the homeless, all in the spirit of a particular holiday. Unfortunately, some Christians are programmed to wait until they are moved into action by the holiday spirit. Consequently, they are not moved into action by the Holy Spirit. Christians should allow the Spirit to lead them to give according to their means. Then they will perform the level of holiday giving every day of the year. The world would then finally get a glimpse of true Christian giving and the kingdom of God on earth. The point is that we are programmed like robots to be generous only when it’s time to be. Why does our giving increase around the holiday season, well, that’s because that’s just when everyone else give more. When is it time to give to the church: when everyone else gives. 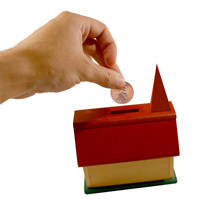 How much should everyone give: a tenth- the same as everyone else. This methodical type of giving is completely disgusting. Our way of giving to our God is no different than how the pagans give to their god. Yeah, that’s right! I said it! We give just like pagans give. We give as if our God were dead and could not speak to us. Sure, go ahead, give your offering above the tithe, but i betcha, I BETCHA! most of you are giving 11%, if you are daring, maybe 12%. How would i know? I would know, because that’s how i used to give. I knew what it was like to calculate my tithe, and then figure 1% or 2% extra. Yeah, yeah, go ahead rant and rave about how at least it’s above and beyond. I look back at that, and can’t believe that i actually gave like that. It’s so pathetic because a two year old has more independant thinking than i did. Anyways, i could write a lot more about the book. I have personal notes written to myself, but they would not make sense to a majority of you (if i re-read them, they probably won’t make sense to me either). I would definitely recommend Beyond Tithes & Offerings to anyone who is interested in understanding the truth about tithing. Hey, another enlightening book concerning the tithe is called “Tithing?” by Paula Brooks. The reason for the question mark is to question whether christians truely know what they are doing as pertaining to tithing. This book expounds on biblical scripture to define the purpose and meaning of the tithe; as well as, a thorough explanation of the book of Malachi, especially the misconception of Malachi chapter 3. The church treasury is divided according to each religion specification as in (children’s offering, church budget, literature funding, ministry, world budget, etc) which is them taken to the church’s different bank accounts to be directed to a specific need at that time. 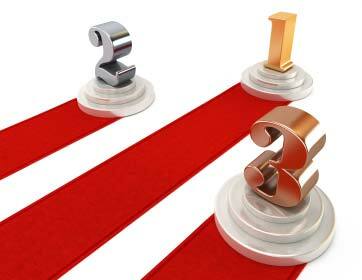 John Phipps’s last blog post..Are Wealthy Christians Bad Stewards? I thank God for people like you that have delivered millions of people, i am not against tithing but alot of believers do it for wrong motives. I am battling this this right now with the tithing. Please give me more insight if you have a light bill due what do you do pay tithes are pay the bill? The question here is do you trust God or not? Do you trust that God will provide your needs? If you give your tithes and your budget is off and you cannot pay the other bills are you going to put yourself and your bills before God you are you going to put God first? In Malachi 3:10-12 God is telling you to prove him on his blessings and he will drawn you in it. God gives you a promises of unmatched blessing if you return your tithes and offerings, the everything in the world belongs to God so your money does too, but God only REQUIRES as it is your OBLIGATION to return not give 10% of it to keep his provisions in his house, Paul said that those who live for the Gospel shall live from the Gospel, your tithes and offerings pays bills, pastors, evangelism, literature… A nation cannot survive without taxes and a church cannot survive without tithes and offerings. It’s hypocritical how those who preach from the gospel are not coerced into doing so, but when it comes to living off the gospel, they coerce others. Are we enforcing the same gospel for both? Let’s put this in perspective. You are using Old Testament law requirements and placing them around the neck of a New Testament believer. This is the same issue that the council in the book of Acts dealt with. And it was decided that Gentiles are not to be burdened with the law that neither they nor their forefathers were able to bear. God does not “require” anything except faith in His provision. How silly is to think we are seated with Him in heavenly places, joint-heir with Jesus yet, we have to get out of our seat so to speak and give ten percent when all of heavens resources are at our disposal because of what Jesus did not because of what we do. We are not required to tithe any more than we are required to get circumcised. Now, if one wants to give 10% so be it. That is what they have purposed in their heart to do. But to make it a “law” that you MUST give before God can do anything for you is baloney. We are free to give NOT required to give. Healing is free?, Salvation and forgiveness is free ? So Jesus gave us life for free ? Who told you God charges 10% of our income for financial sucess or blessing? Someone is lying to you read the bible properly and stop depending on those lying pastors or prosperity teachers deceiving you. By GRACE we are SAVED!!! Money is included in that Grace or we will have to earn it. Cant you see it or are you so deceived you need deliverance from greed and coveteousness. Listen Jesus said you can not serve God and money at the same time. the truth is that chrches is babylon the great,and also a business,and not pure worship! What about in the New Testament when they came to Jesus and asked him if they should pay taxes, what did Jesus said? Give to Cesar what belong to Cesar and to God the things of God… They were talking about money and Jesus was talking about money too in this passage. So, if you are going to give 10% of the first fruits of your increase and that fruit is $$$ you got to give it, because the Lord is the one who gives you health and power to acquire riches and 10% of all your increase is His… Sure, we need to have a generous hand to give to the poor and needy at every time they need it and if is in your abilities to provide or share what you have. Apostle Paul taught in his epistle that you can not separate the law, for example sabbath, circumcision, adultry and the other over 600 laws given to the Israelites by Moses that the Jews were enslaved to try and keep . Read all of Galatians before you start selling the benefits of money tithing to justify misinterpreting the bible so that you can be rich. Paul taught about christian who fell away from following Christ because of the love of this present world and the material things in the world.Jesus was offered the whole world by Satan but he turned him down. Pastors everywhere are trying to justify lying to christians for taking money and misinterpreting scripture to con people of their money. They are driven by coveting the world and the life style of wealth and excess .You CAN NOT change the law of tithing from food to money just because you need to pay your pastor or pay the bills for the church. Its the same as trying to change the law concerning adultry, homosexuality or sabbath.Either you keep all of them or you live in the new covenant in Christ Jesus. The punishment for adultry, breaking the sabbath, is still death and only the sacrifice Jesus made cancelled the old covenant for a new one. The new and the old covenant can not be mixed just to try and raise money for your pastors lies. Well said! Why do preachers (pastors) continue to neglect the truth of God’s Word. It is so plainly stated in Galatians 3:10 that you are still under a curse if you “try” (it has already been proven that we cannot) to live by part of the law and not fulfill it all. And then we continue to read Malachi 3 without considering Malachi 1 & 2. He was talking to the priests!!! THEY, THEY, THEY were the ones robbing God and caused the whole nation to follow suit. Plain and simply New Testament (because the OLD has become NULL and VOID) believers are called to be great GIVERS. “So let each one give as he purposes in his heart, not grudgingly or of necessity; for God loves a cheerful giver” (2 Corinthians 9:7). This verse has nothing to do with money, but about forgiveness. That being said Jesus does not omit giving anymore than he omits adultery, in fact he takes the standards of the law and increase them. So the issue is not whether we should give or not, but how much. Yes the command of tithe is not found in the NT, but giving is. Jesus made it all a heart issue for believers who have received the Holy Spirit and have the law written upon their hearts. The NT church gives us plenty of examples that is right to give financially to the work of the church. We are exhorted not to muzzle the ox while he is threshing. No it is not to be demanded as Paul was bi-vocational but notes it took time away from ministering and sharing the word. I find the mindset of most people is to live with the idea of our limited supply and not a God who has unlimited supply. We think of God as a taker or at least we have been given the impression from paid clergy that he wants something from us. The truth through out all scripture is that God is a giver and the criteria to please Him is faith which equates to trust. Trusting God with our finances is another way we trust or place our faith in His goodness. There is so much more that can be said on this matter. I think it is pretty simple, Jesus taught us how to obey God, go to your prayer closest and listen to what the Father says. Scripture will speak and the Holy Spirit will direct and guide us into all truth regarding what has been said. “Father thank you for providing for us, let us be a blessing to others as you are a blessing to us. We give you our lives and that includes our finances, help us to be good stewards over what you have given us, help us to invest our time and talents where there they will bring a godly return. Help us to hear your voice and obey, knowing you will give to us in our area of need. In Jesus name. If you believe in the bible as the Word of God then take what it says about tithing and not ignore the very scriptures that you value. 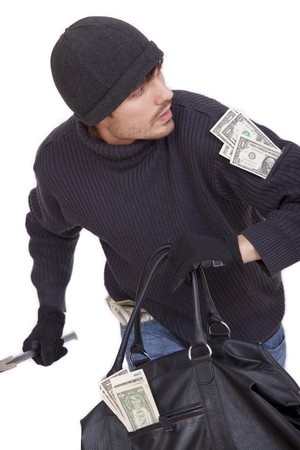 Fraud is still fraud whether committed by pastors or christians. Tell me somethibg if I lie and misrepresent any business proposal or investment to gain financial advantage in any way that means I am guilty of fraud . Yes or No ? Then its simple pastors who promote and lie about money tithe are defrauding christians and hidding under the protection of the freedom of religion. That is evil to say the least. Do not try and cover up other people who have fallen under the deception of greed its not your job. Jesus warnned us for a reason unless you think He didnt mean what He said about coveteousness. H said you cant serve both God and money. You’re missing it Joel. Go back to Abraham. WHY did he tithe? WHY? God is always dealing with the heart. Forget the law. Just forget it for a moment. WHY did Abraham tithe? If you find that, and your heart is for God.. you’ll get so excited that no one will be able to stop you from tithing. I submit that challenge to all. I won’t tell you the answer.. but if the Holy Spirit will in your prayer time – your eyes will open. You’ll fall in love with Jesus even more. Jack I grew up in a household that was centered around holiness and I watched my parents pay ten percent of EVERYTHING monetarily that came into the house and I also watched my parents struggle financially. There was one point where things were so bad the pastor actually gave the tithes back so that bills could be paid. When I became an adult I begin to gain knowledge for myself and I have found that tithing does not work as so many preachers describe it. I have seen church members in poverty, no car, light cut off and evicted from their homes. It’s time to do as the scriptures states, in all they getting, get an understanding. My husband and I are faithful tithers to our church, for which God has blessed us! A situation came up with a close family member (only saved for about 2 years) having hard times financially because of medical reasons. We have always given our tithes to the church to distribute as needed. Our church has a food pantry for which they can use but the financial help is not there from the church. Would giving our tithes to the family member for a while until they get on their feet be the same as tithing to the church? We do not want to take away from the church and go against what God says about tithing and at the same time we want to help other Christians in a time of need. In the early church you will hardly read of any giving going to a local church. You hear about giving to others in need in other countries. You hear about giving to missionaries. The tithe is not a requirement for the New Testament Church. Just as we are called by the Holy Spirit to serve in certain places, we are called by the same Spirit to give certain places. There is nothing requiring you to give to your pastor, or to your church. Your pastor and your church are your financial responsibility, but we have the liberty to give elsewhere in the times in our life when the HOly Spirit is asking us to give elsewhere. My husband and I have discussed tithing many times and we have always felt that we would rather give to our local orphanage. We take a tenth of our income each month and take 2 children from the orpahnage out to buy them clothes and other much needed items. Our Pastor however informed us that this is not the correct way of tithing, as we are supposed to contribute a tenth of our income to the church or to another cause, that preaches the word of God. He says that your tithe should be used towards helping the Word of God get out into the world. Is it therefore wrong to give our tithes to help the children in the orpahanage? No one has the right to tell you where to give your money and that includes your pastor .If God put it in your heart to help the orphanage then please continiue to give to them . Read the bible properly for yourself and find out the true meaning of biblical tithes in Deuteronomy 14:1-29 Look up tithing in your concordence and study it . Many pastors and christians are lying about the bible to get you to give them your money . If you want the truth about tihing then read it for yourself in the bible .It was a law given by God exclusively to the Jews in the old testament. Egyptians ,Philistines, Romans and any other Nation apart from the Jews were not included because they had no covenant with God . Jesus said it in Mathews 23:23 that tithing is included in the Mosaic Law . i have learn much with your own view about tithing but for me giving is stewardship,our giving we must always base in our love for jesus, if we love Him we also love his ministry , if our giving base on this you give limitless according to what you have for his glory..